This product is available in Amazon.in, Infibeam, Flipkart. 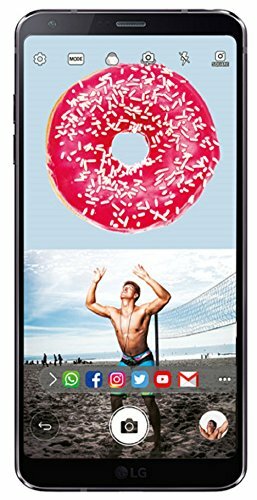 At flipkart.com you can purchase LG G6 (Black, 64 GB)(4 GB RAM) for only Rs. 27,990, which is 23% less than the cost in Infibeam (Rs. 36,221). The lowest price of LG G6 Full Vision, Platinum was obtained on April 20, 2019 12:38 am. 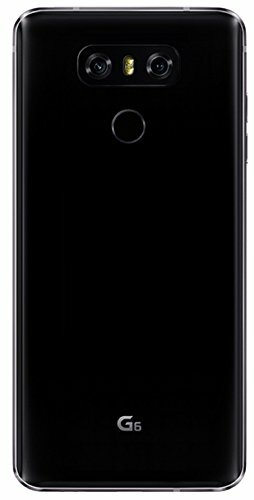 I have been using this phone for a month, so I thought it is a good time to share my views so that it would help anyone who is confused in deciding which phone to buy in this price bracket.The phone directly competes with one plus 5 which is in similar price range as this phone and partly with honor 8 pro and galaxy s8 with some price differences.Before buying LG G6 I was waiting for OP5 to launch because of the hype it has created and also with the success of OP3T. But I was majorly disappointed with the launch because of lack of original design and very less difference than OP3T. 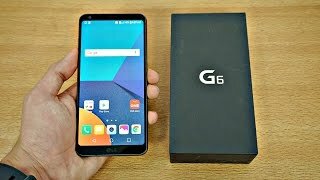 Of course it is a very good phone with very great specs but the lack of refreshing design and the price not differing much from major flagships as it used to made me to favor LG G6 which was available for a good price than when it was launched. Now let’s talk about the phone.Things I liked or i would say loved :1. The design of the phone is fabulous. I guarantee you that your phone will get everybody’s attention each and every time you flaunt it. The bezelless design is very unique second to samsung galaxy s8. What makes it preferable to s8 is it’s sturdiness despite having bezelless design. The phone won’t feel vulnerable when you hold it as it does with s8 and also with OP5 to some extent. It’s not so super slim design makes it easier to hold but still retaining it’s beauty.2. The Quad HD screen of this phone is top notch and you would feel the flagshipness of this phone when you experience the clarity and beauty of the screen. Though it doesn’t have the black levels of Amoled display but it would only be visible if you compare it side by side. When you would be using it standalone which I think you would you won’t notice any difference in the black levels. The black matches with the bezel color.3. This is the first and the only phone in the market which has wide angle lens as secondary camera. Yes I don’t feel like it’s secondary but it doesn’t have OIS and low aperture. But I am in love with the wide angle camera. I have posted sone of the pictures taken by the wide angle lens and it looks stunning. The pics are without any filter. The primary camera takes very good pictures esp during evening time when there is little light. You can show off your camera quality during night time to your friends they will feel stunned with the quality. Avoid using secondary camera during night as it doesn’t have OIS. I am more than satisfied with the camera performance.4. Having said that it has last year old chipset SD 821 which is same as in OP3T and Google Pixel, I never had any performance issues with this device even when I have used phone to its fullest capacity i.e playing asphalt extreme having 4g data on and switching between many other apps while playing. The phone handled it perfectly. 4GB ram is enough to handle day to day tasks. I believe no one would run atutu everyday to check the performance of the phone. It’s performance is on par with s8, OP3T and Pixel. 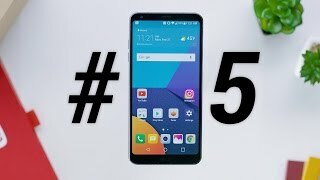 If you want to be on top of the benchmark and boast about it OP5 is the phone for you. LG does lag behind in there software front but it’s android and you can definitely customize your phone without rooting the phone. I have some tweaks done with which my phone runs like OP5 smooth and fast and I haven’t rooted my phone just some basic tweaks.5. People say LG phones have issues with the battery back up but I am very much satisfied with the battery back up of this phone. It gets me through out the day with 4g data on. My previous phones used to get heated up when I was using 4g or 3g continuously. But this phone handles this thing quite nicely. May be because of the 821 processor. They have really done a good job utilizing the power of last year chipset and optimizing the performance accordingly. Quickcharge 3.0 charges the phone very quickly. In an hr it charges around 70 80 percent which is enough for a day usage. But I would suggest not to use 4g continuously to extend the battery life. Use wifi wherever possible which uses less battery.6. The phone is IP68 certified so you don’t have to worry about damaging your phone by water especially during rainy season. Your phone is as adventurous as you are when you go on a trek or on a ride in the outskirts.Things that I would like to have in this phone :1. LG lack from the software front when compared to one plus. They should learn how to keep things minimalistic and focus more on performance side which also affects battery life. But they have improved with time when we compare it to their previous software versions. Hope to see a minimalistic version of lg os soon from the company.2. The price movements this phone has gone through is tremendous. This really piss of the fans who are in line to purchase the phone to get first hands on. They are the true fans and are at loss when the phone is priced at almost one third of its original price. If the trend continues no one will buy the phone at its launch. Everybody will wait for the phone to get price cuts. This will definitely affect your sales.3. It is my personal need, it will differ from person to person but I would like to have fingerprint sensor on the front rather on the back so that when it is on table i can unlock it directly with my finger. The design constraints might have led the sensor to be on the back. I got used to now after using it for a month not a big deal for me.Everyone has a different taste for the phone and everyone uses the phone very differently than other. Some are focused towards camera performance while some are more focused on the speed of the phone.My requirements from my phone were to be original within the category in terms of design, have a good multimedia experience in terms of camera, music and videos, have a decent performance and having a decent battery which are provided by my current phone and I am happy about it.Every phone has its pros and cons. One should see his/her requirements and find those in the pros.I hope this review would be useful of anyone who is buying a smartphone or want to suggest a smartphone to a friend.I would definitely like to help those who need more info about the phone. Excelellent phone dark horse of 2017 its great at 38000 20000 less then s8 but in comparison more like same this year lg finally has given a better phone phone build quality is great hifi deck is great if in future if u can get it around 35k its a great great buy .its a great phone and one of 2017 champion. Superb phone.Highly recomendedExcellent Display, Durable build,outstanding audio experience,Superior camera with new modes I have attached camera sample see and then beleive. Phone is good camera is also good enough but not as one plus 5..The camera glass is very weak it cracked on 4 days without any fall or impact don’t know how?? Amazing phone❤.Didn’t exoected.But interface needs improvement and alwAys on display should be customisable.